Reduce the risk of flooding through the basement drain with a backflow preventer valve. If your house has a basement floor drain, it could be subject to backflow. Backflow is what happens when the city sanitary sewer surcharges; this refers to the rise in water levels in sewer mains caused by the overloading or a blockage in the City sewer system. The end result - you end up getting sewage entering your basement through the floor drain. Luckily, although not completely fool proof, you could install a backflow preventer (also called a check valve) directly in your floor drain. They are inexpensive, and easy to install. 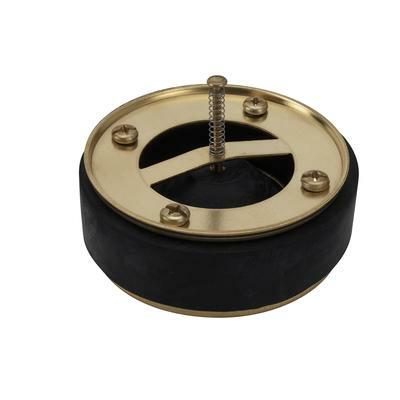 It comprises basically of a compressed rubber gasket, with a floating ball mounted on a spring that is installed directly in to the vertical pipe of the floor drain. The ball is normally pushed downwards (open) by a spring. If the sewers surcharge and backflow into your basement, the liquid will cause the float ball to float up into the ring or ball gasket, thus sealing up your floor drain and preventing the waste from entering your basement. A backflow preventer permanently installed should not interfere with the floor drain’s normal operation.